I make it a point of trying to eat the weirdest item on any menu (or, at least, considering it) and having never eaten beef tongue before I had no choice but to eat the tongue sandwich. Also, it’s enormous. I think it was bigger than my head. Tongue, size-of-your-head. These are excellent qualities in sandwiches. 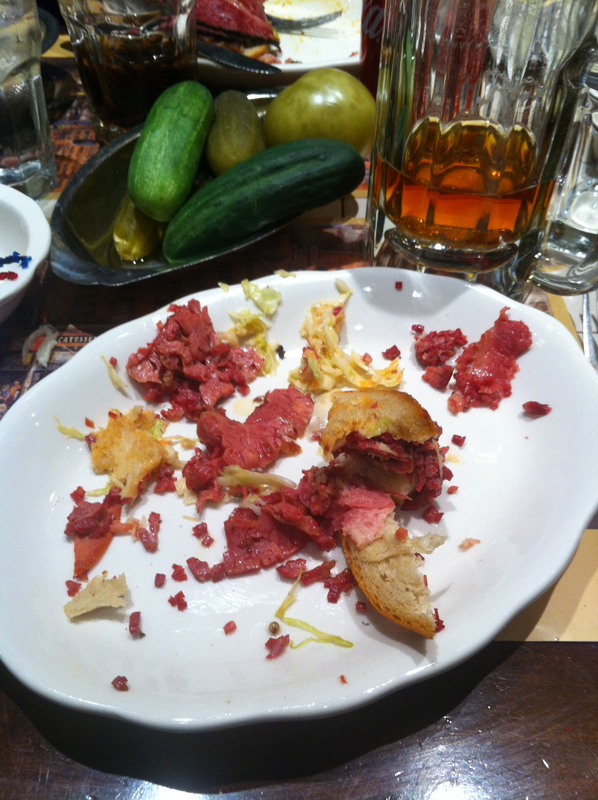 I’m disappointed that I didn’t clean the plate but … GOOD GRIEF! IT WAS THE SIZE OF MY HEAD! Ahem. New York, I love you, but your sandwiches are freaking me out. Previous Post I’m in New York! You are brave… and probably suffering from killer heartburn! 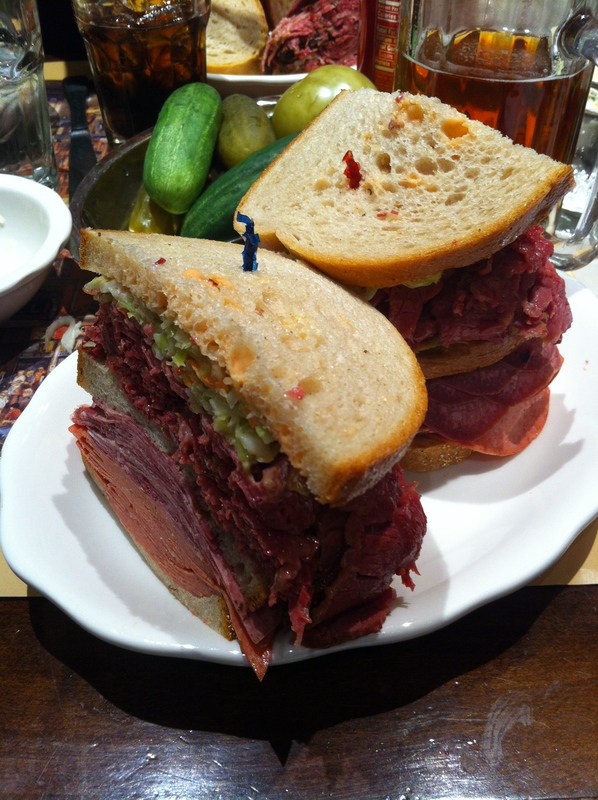 Just reading through my own blog and commenting because, man, I loved this sandwich. This was a great deli. The pickles were awesome. There was like, a malt shot afterwards. So good. Back again on a re-read. Just thinking about this sandwich again. So good.